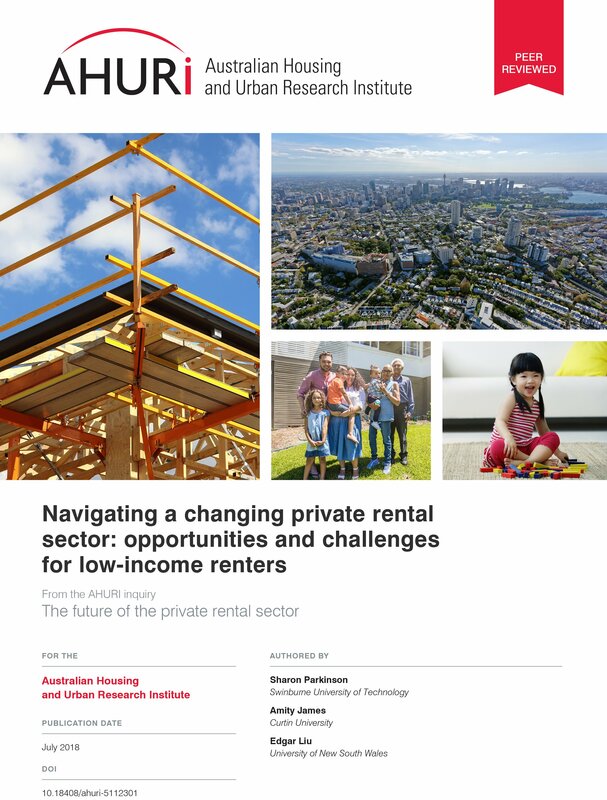 This project will investigate opportunities for improving outcomes for lower-income households through institutional change in the Australian private rental sector (PRS). Institutional change in this context refers not only to policies and legislation/regulation but to organisational structures (established and emerging organisational actors) and established/ emerging social practices and norms around renting. An emphasis on institutions underpins the EPI and complements a substantial body or prior research on market outcomes for lower-income households highlighting the shortage of affordable supply. It will provide policy makers with in-depth evidence on how lower-income private renters navigate the Australian PRS in the context of institutional change and social practices around renting. It will also provide evidence from housing providers/managers on opportunities for, and barriers to, housing lower-income households within this context. The findings will enable policy makers to consider the challenges and future opportunities for developing innovative practices at the low-end of the PRRS to deliver better outcomes.